Authentique starts off nicely by presenting a very nice vibrant medium green color accompanied by a rather fine aroma. Clean and crisp up front but with a nice herbal spicyness to it yet with flowery fine scents lingering underneath. It's very complex but still manages to come off light. Definitely inviting. By slowly adding iced water, drop by drop, the Authentique does produce a decent enough louche but one must really take care and add water slowly or the louche will end up a bit too thin. Once louched it holds a good bit of the green still and result in a nice light green glass of blooming absinthe. 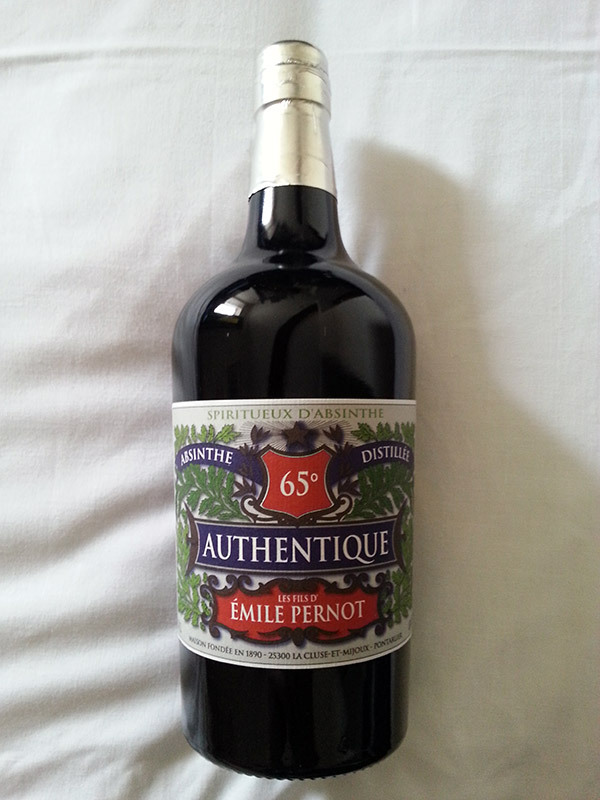 The aroma presents many layers to be experienced and as always in the better Emile Pernot absinthes the wormwood is quite noticeable but not as heavy as in the Roquette or Sauvage. 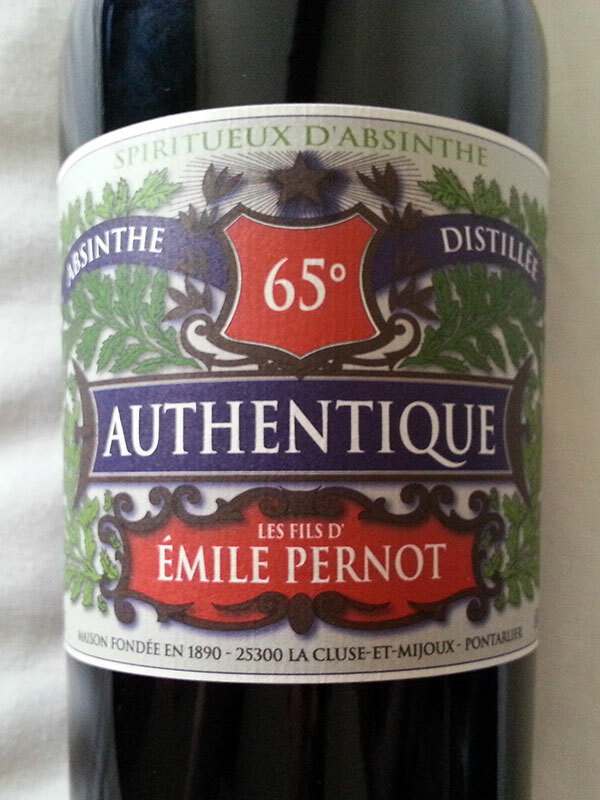 The balance of wormwood and anise is very nice and it helps the Authentique become a light but refreshing absinthe. The taste is very nice but not as interesting as one would hope from the aroma. That said it's far from boring or uninteresting and there are no flaws or anything. The mouthfeel of the Authentique is very appealing as well and it's a pleasure letting the drink coat every little bit of the mouth and tongue. Authentique is in other words a very nice absinthe verte and I very much enjoy it, no doubt. But at the end of the day, the Vieux Pontarlier is still my absolute favorite of all the Emile Pernot absinthes. It is in my opinion better balanced, with a fuller mouthfeel, a more intriguing aroma and an overall wonderful taste. Should you be on the lookout for something new and really nice though, I'd recommend you get a bottle of the Authentique - you will enjoy it.